The SEO Singapore 4-part series has been designed as a means of educating local business owners on the importance of search engine visibility for their business. Another excellent way to get great search engine visibility is by listing, claiming, and verifying your business in Google Places. Google Places is a local business directory that allows you to profile your business and share information such as videos, photos, and hours of operation. Google automatically lists most businesses in Google Places with very generic information – some of which is inaccurate. Therefore, it is extremely important for you to claim and verify your listing. This process will allow you to correct any inaccurate information as well as share additional information about your business. In order to claim and verify your listing, you simply fill out your profile and then submit it to Google. They will contact you via phone or postcard with a verification PIN number to activate your listing. You will enter this PIN into your Google Places account to complete the process. Google Places works 24/7 for your business when it comes to connecting with local consumers. This powerful platform gives your business “credibility” in the eyes of local consumers. Complete Google Places profiles simply receive more attention than those that are not. Google Places is also extremely mobile friendly. Mobile users are constantly searching for products and services in their local area while on the go. Google Places allows your business to come up right on their mobile devices. Your customers can even reviews of your business on your Google Places page. Even better, you can actually respond to those reviews and build a strong relationship with your customers. This will look good to people who find your page before calling you up to do business. We will discuss reviews in more detail later in this report. Google Places business listings come up in search engine results when someone searches for your type of product or service online. In fact, Google Places usually gets more attention than organic listings when it comes to local products and services. Usually, the top 3 results gets the most attention so you should strive to rank your website as high as you can. Of course, the number one spot is the ultimate goal. Be sure to fill out the complete Google Places page including pictures, videos, coupons, and any other information you can. Include relevant and accurate information about your business on your listing. Select the right categories when completing your listing for maximum effectiveness. Try to get as many customer reviews as possible. Offer something to your customers in exchange for them posting a review on your Google Places page. Well with that, we end our 4 part SEO Singapore series. 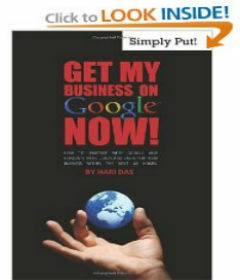 I hope you enjoyed reading the series and gained insight into the powers of SEO for your business. If you sell food items then make sure you check the expiration dates regularly. No-one will continue to buy from a grocer whose food is off.